Your support is awesome. Now, let's add lots of stars to the reviews of Flynn's Log 1. 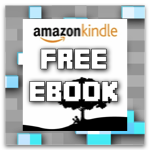 Get Flynn's Log 1 free from Amazon here and then leave a review with lots of stars.